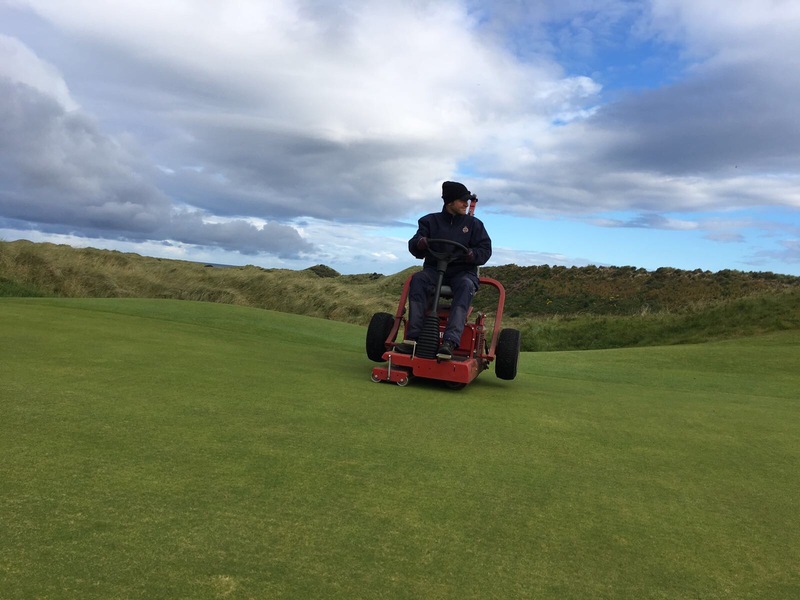 Over the course of this week the green staff are carrying out some refinement work throughout the Dunluce and Valley links by applying graminicide. Graminicide is applied to the leaf of the turf and selectively removes coarse grasses. 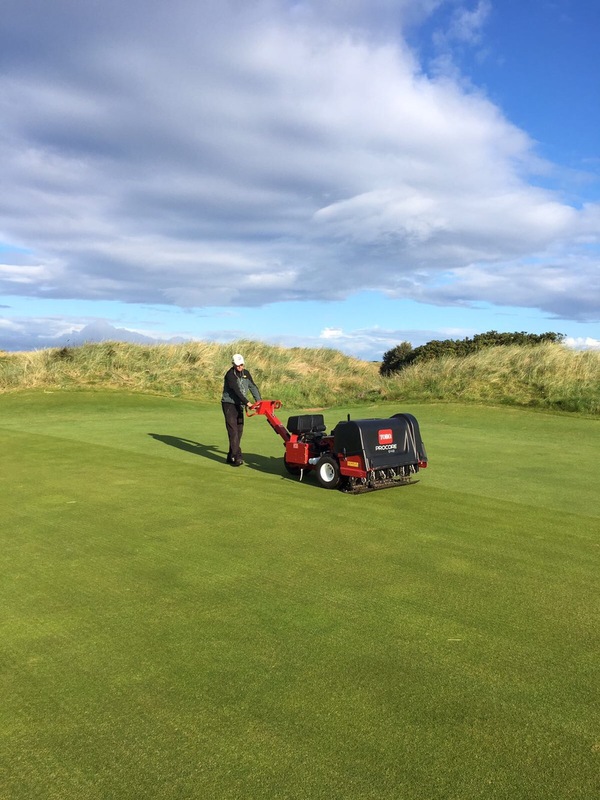 Our turf is predominantly fine leafed fescue but this treatment assists in improving consistency, especially when putting from surrounds. 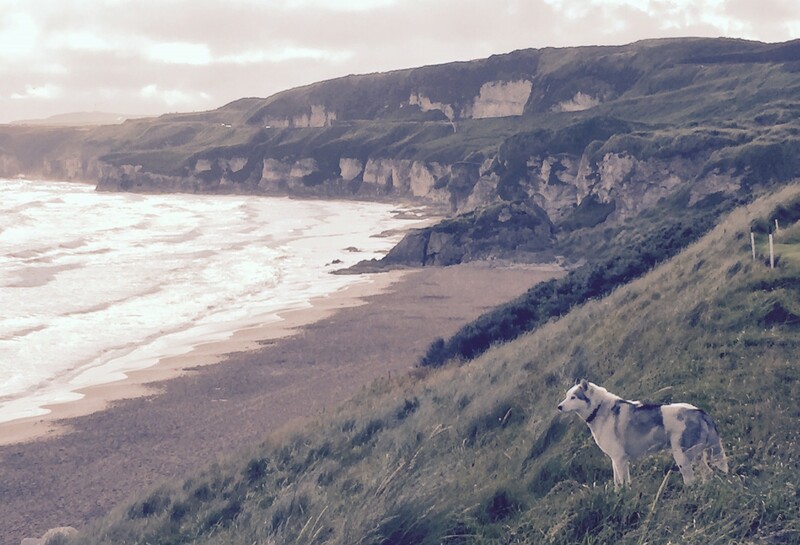 Dunluce fairways, semi rough and green surrounds. Some slight thinning of turf will be apparent through the Valley surrounds but overseeding will be carried out tomorrow to allow germination and establishment of new seedlings to coincide with removal of rye grass meaning that fescue will fill the gaps left in the sward as rye grass dies. 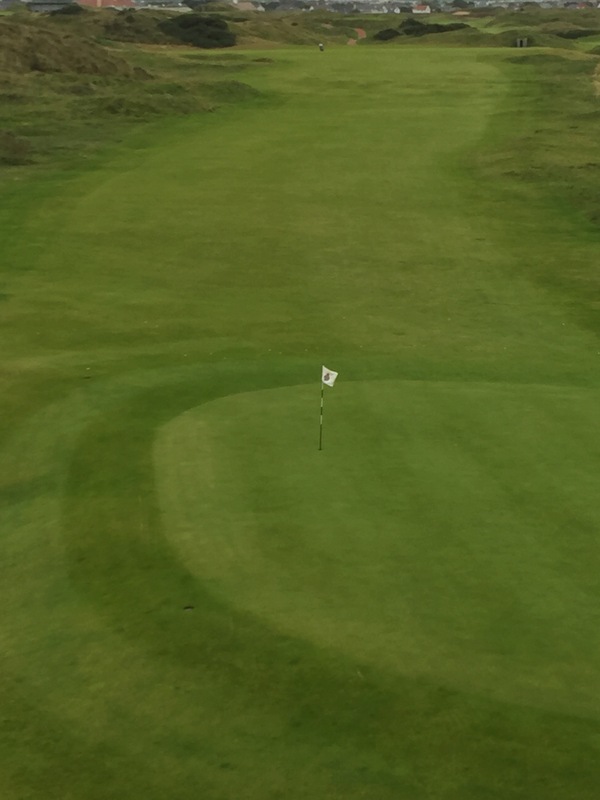 Some members may have noticed the increase in growth on the course and green speeds reduce slightly over the last week. 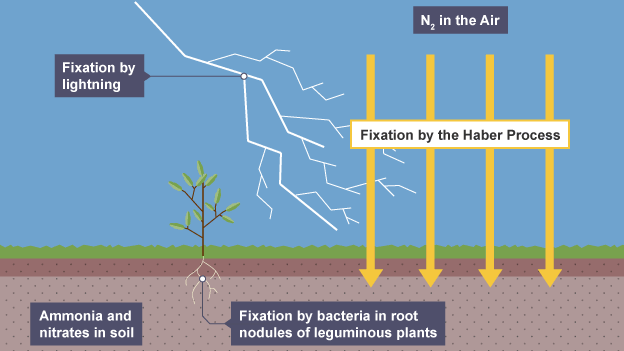 This is, in part due to mild temperatures and increased rainfall but also due to a release of nitrogen in the atmosphere caused by the recent lightning storm. 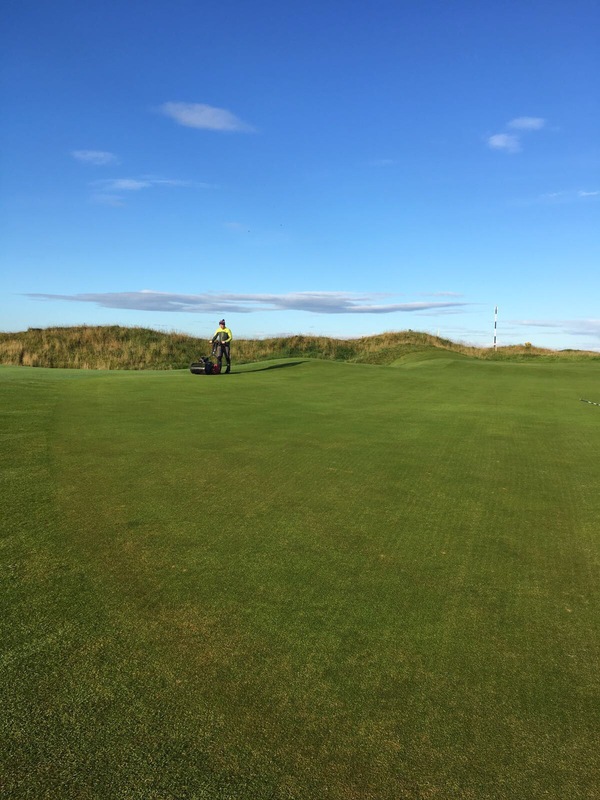 This is a natural process which frees up nitrogen in the atmosphere and the whole golf course benefits from recent rainfall. 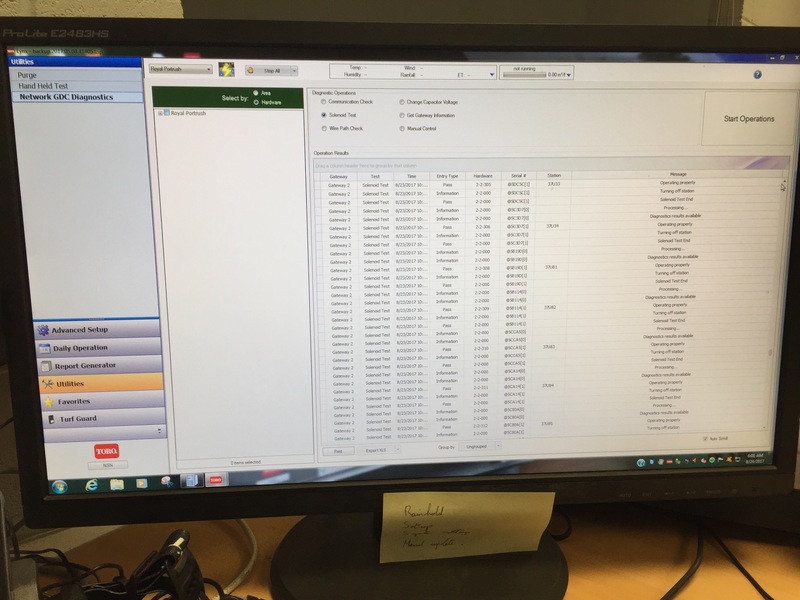 After a 6 hour long lightning storm last night and over 2 inches of rain we were extremely relieved with our diagnostic test showing no electrical damage to the irrigation system. Although we have lightning earth rods throughout the courses it is still a concern when we experience this kind of storm. 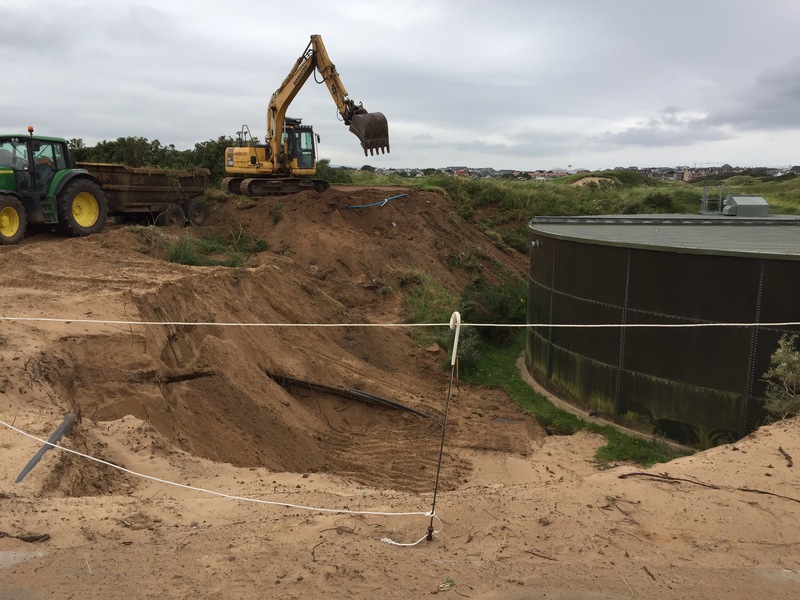 The Championship tee for the old 17th hole has been removed today to allow for construction of the new retaining wall surrounding the irrigation storage tank. This will create a larger area behind the 18th green for grandstands and spectators. The work is expected to be complete by early September. Some of the turf has been salvaged for small repair jobs on the Valley and rootzone can be used as divotting material. Solid tining work has been carried out on all greens over the last 2 days. 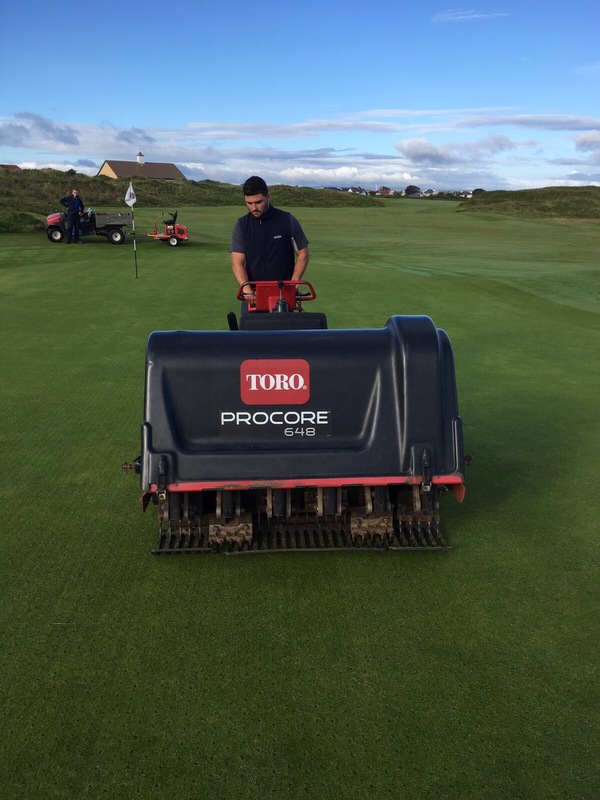 The work has been done using our Toro Procore machines, using 8mm tines to a depth of 3.5″. 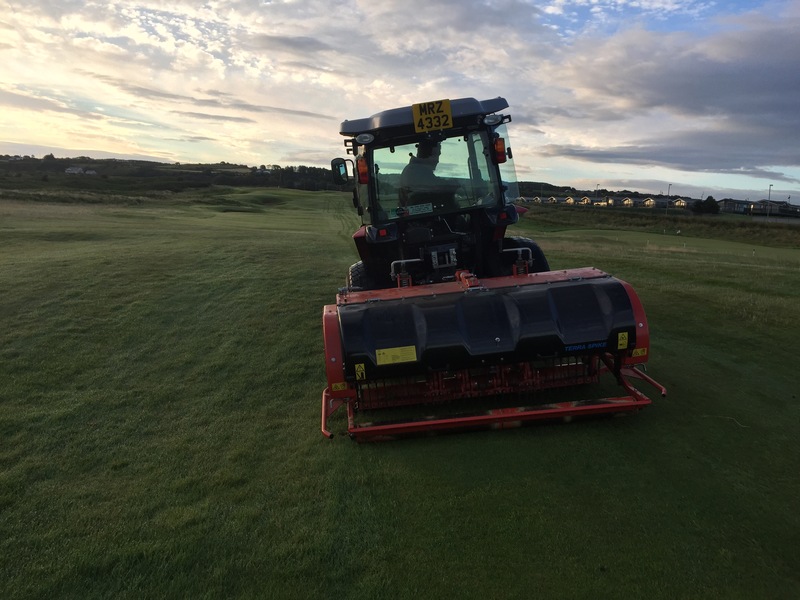 This work causes very little disruption to the greens surface and once surfaces are rolled, cut and rolled a second time the greens then putt as before. Below are some photos of the process. 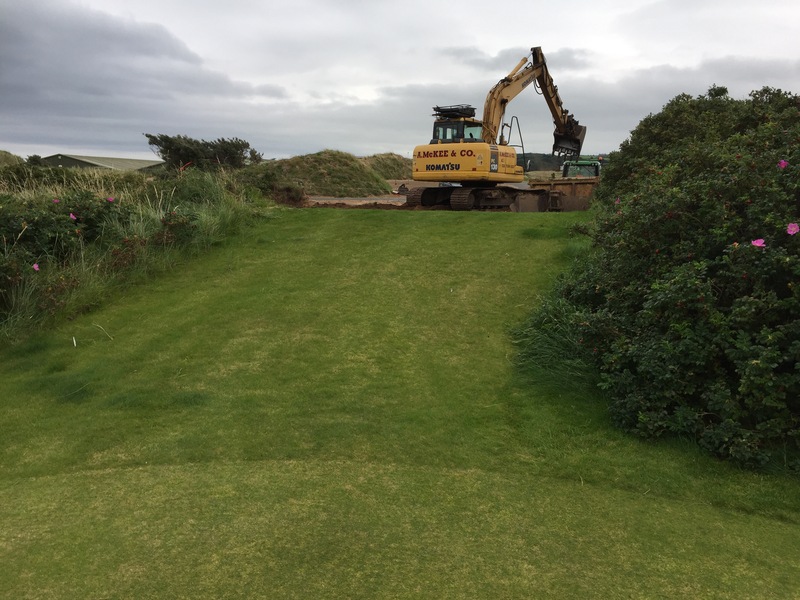 A similar treatment is being carried out on our grass paths which enevitably are more likely to become compacted. 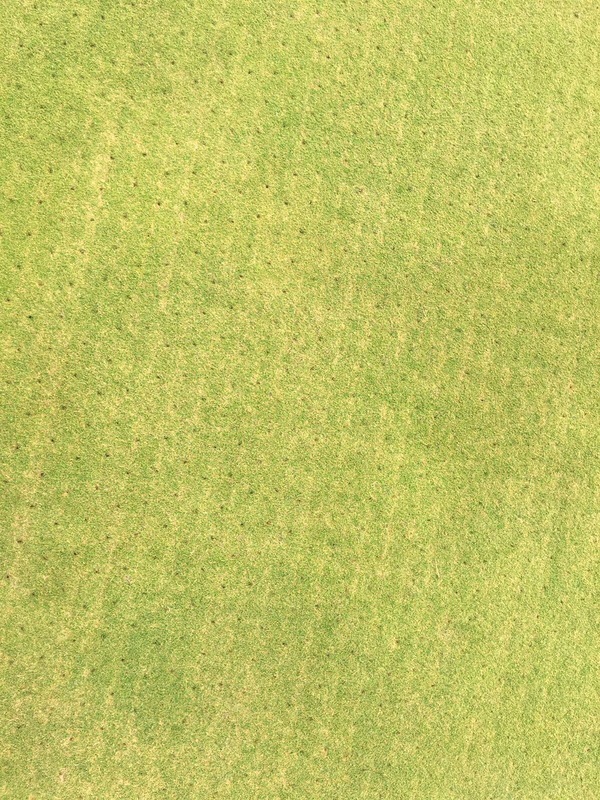 Pathways are being aerated with 1/2″ tines to a depth of 5″.